Guest: Kathy and Steve Talk about Stitches Midwest , look for us starting at booth 513. They also discuss the August Sale. 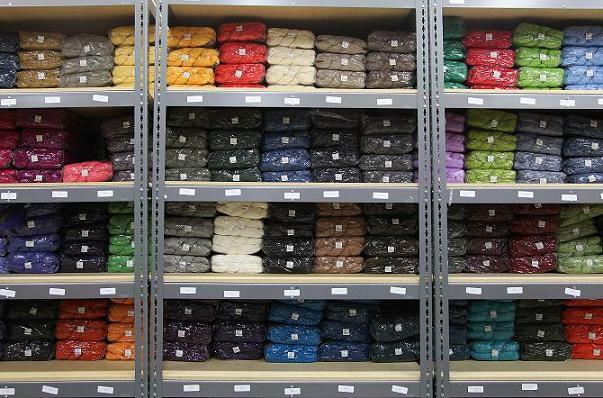 Highlights from the Sale include Reynolds Rise and Shine, Artful Yarns Serenade, Cascade Yarns Soft Spun, Cascade Cloud 9, S. Charles Collezione Panne, S. Charles Collezione Tinka, 4/8 Wool Millend, 2/8 Wool Millend, Ironstone Brushed Mohair, Valley Yarns 60/2 Silk, Valley Yarns 2/14 Alpaca Silk, and Valley Yarns Rayon Chenille. Be sure to check the website for additional sale yarns that are not listed on the mailer. The new 2012 Weaving Sourcebook has been mailed, you can request a catalog online. New Fall classes will post in the next few weeks. 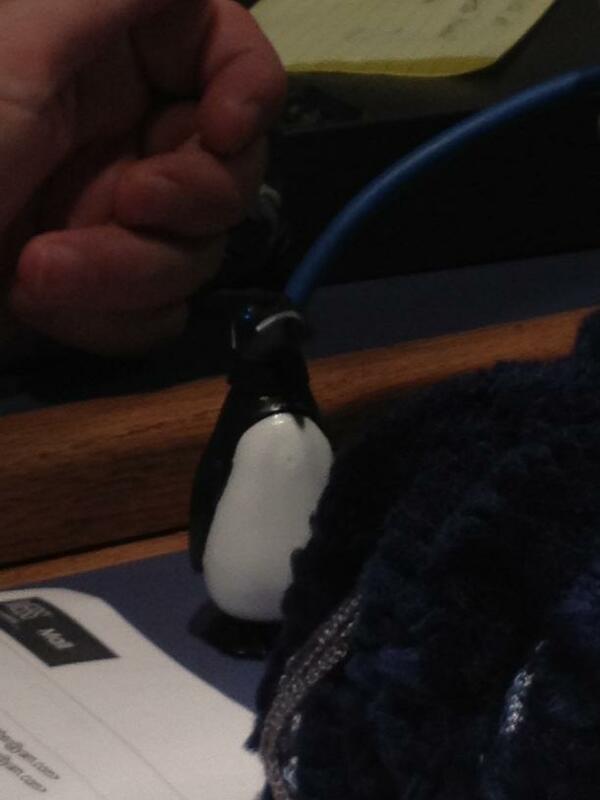 Steve and Kathy had a small guest in the studio that agreed with all of Steve’s yarn picks! No Podcast next week but we’ll be back with a new show on 8/18/12! 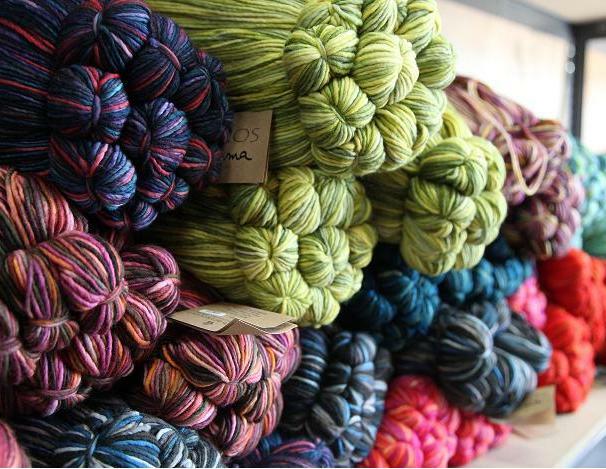 Guest: Julie Hoover, knitwear designer, talks with Kathy about her new collection for Manos del Uruguay yarns. They chat about her early work as a visual merchandiser and freelance art director and the fateful trip to her local yarn shop in 2006 that began her knitting career. Julie also talks about her design esthetic, the importance of seams for the structure and framework they add to a garment as well as their use as decorative detail. Julie’s first design collection for Manos del Uruguay, a mix of garments and fashionable accessories, will be available soon. Check out what the staff at WEBS is buzzing about this week. Our Valley Yarns Longmeadow is one of my favorite yarns. It’s a wonderful cotton/acrylic blend that behaves nicely when knitting or crocheting with it. 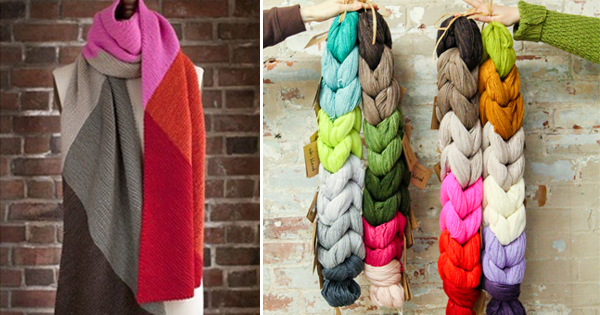 We’ve added two lovely new colors — Winter Lake & Persimmon. There are also lots of pattern choices for this yarn as well! > Kathy E.
The Manos del Uruguay Molly Vest is a wonderful project. My daughter knitted it while she was home visiting for a week. 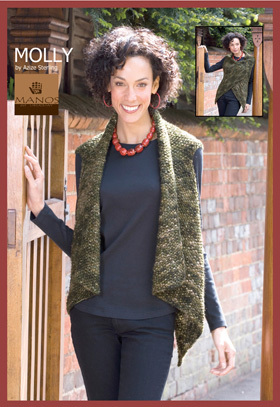 She used the Wool Clasica and the finished garment was great. She wore it home. I have recommended it to many customers and have received only positive reviews. It is high up on my list of knitted projects. If only I can get the time! 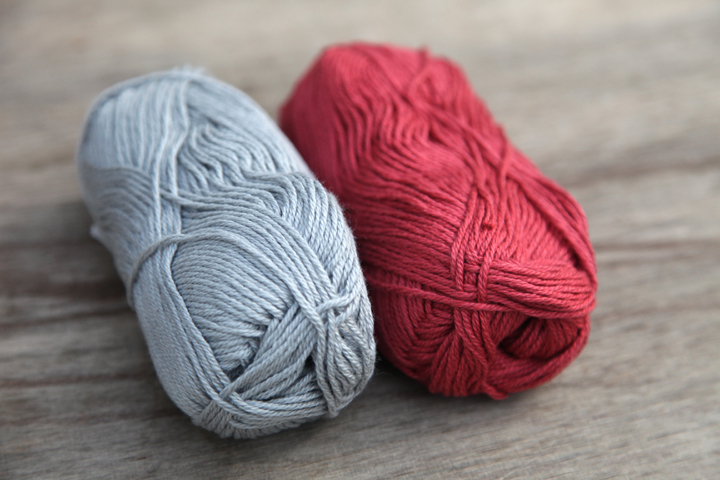 > Marion H.
I’ve fallen in love with the new natural yarn closeouts we’ve received. 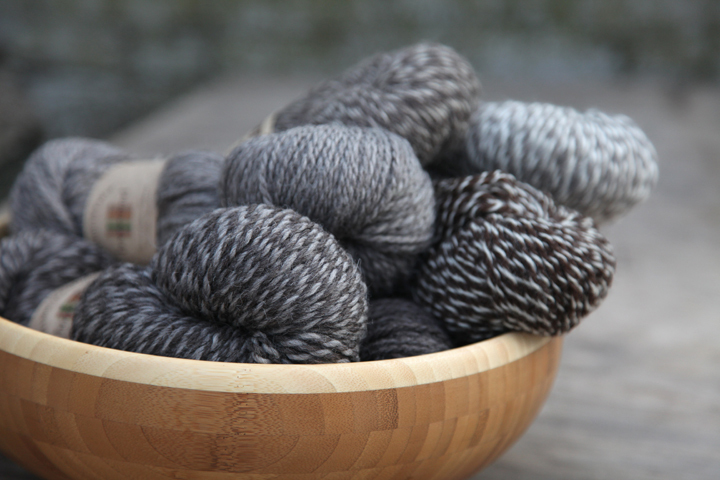 Plymouth Yarn Earth Homestead is buttery soft with a lofty twist. I’m toying with the idea of making a cabled jacket out of this. Something that I can run my hands over frequently. Fibra Natura Shepherd’s Own is begging to be made into a blanket, something I can throw across my lap while I’m working with it. Both worsted yarns come in a beautiful range of natural hues, with lovely stitch definition and generous yardage. > Cara S.
Just before Christmas, I found my copy of Tot Toppers Plaid Hatter by Kate Oates and decided to make my kids and grandkids each one. Thankfully I had already stocked up on Madelinetosh Tosh Vintage Limited Edition Short Skeins and they worked out beautifully. Hopefully all the hats will be done by Sunday when we get together to exchange gifts. 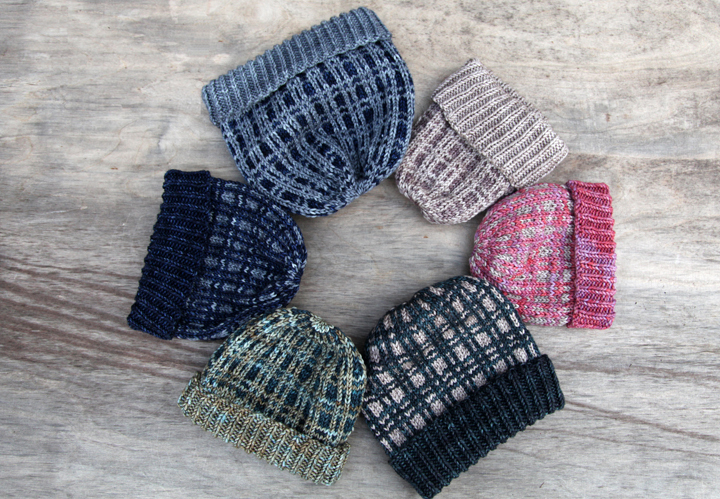 > Lise G.
I’m so excited that we have Gail Callahan’s new The Kangaroo Dyer’s Colorgrid in stock! The Colorgrid is a variation on the color wheel that really demystifies color for me. It’s a great tool for seeing what colors work together and how to add in other colors for pizzazz. I’m giving them to all my sisters, even the ones who don’t do fiber arts — the flower arranger and scrapbooker will use it as well! > Leslie Ann B.
I’m having fun playing with the Harrisville Designs Potholder Loom. 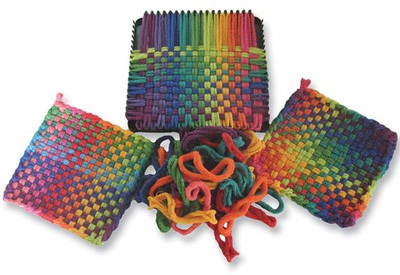 Yes, making potholders with the included cotton loops is easy, nostalgic fun. But I’ve also been using the loom to make small soumac tapestry pictures. > Kirsten H.